If Reese Witherspoon deserves any award this year, it’s for sheer classiness. She produced “Gone Girl,” but accepted the fact that her favored director, David Fincher, didn’t want her cast. She allowed her top-billed supporting role in “The Good Lie” to remain where it belonged: in the background of an otherwise important and gripping story. And in her big Oscar-bid, “Wild,” she does impress with a strong, tear-jerking performance, despite the dramatic obviousness of her character’s transformative journey. But the notion that Witherspoon's only real competition for Best Actress this year is Julianne Moore in "Still Alice" is awfully myopic. This past year was, in fact, a stellar one for actresses on screens both big and small. If Frances McDormand’s sublime miniseries “Olive Kitteridge” was released in theaters rather than on HBO, it would be a major Oscar contender. Scarlett Johansson followed up her splendid voice-over work in “Her” with a nearly wordless performance as an equally synthetic being in “Under the Skin,” a Chicago Film Critics Award nominee but nearly absent from the awards season conversation. She also was a smashing action hero in “Lucy,” a film that surprisingly served, in some ways, as the thematic thread tying together her two previous titles. And Tilda Swinton again proved to be a tirelessly ingenious shapeshifter, morphing into everything from an alluring vampire in “Only Lovers Left Alive” to a deliciously malevolent hybrid of Carol Burnett and Gollum in “Snowpiercer.” The following alphabetized list highlights ten examples of criminally underrated performances this year that are well-deserving of a nomination in either the Best Actress or Best Supporting Actress categories. Sorry Reese and Julianne, but to paraphrase a memorable lyric from “Into the Woods,” you are not alone. No one is alone. Her role: Necla, a bitter divorcée who lives in a secluded Anatolian hotel run by her pompous brother, Aydin (Haluk Bilginer), an actor-turned-newspaper columnist who reluctantly takes part in some bruising verbal brawls with her. Why she’s underrated: After Nuri Bilge Ceylan’s Bergmanesque opus won the Palme d’Or at this year’s Cannes Film Festival, much of the critical buzz was swirling around its two leads, Bilginer and Melisa Sözen as his disillusioned wife. They are both tremendous, but it is Akbag’s performance that has stuck with me the most. Resembling a particularly grim Dianne Wiest (think “In Treatment” meets “Synecdoche, New York”), Necla’s words cut like darts as she hurls one after another at her brother’s back, deflating his overwrought sense of self-worth with every puncture. Set in a warmly lit room cozy enough for a Vivaldi concerto, this harrowing yet engrossing duel stands as a reminder of just how thrilling “talking pictures” can be. Her role: Ewa, a Polish immigrant separated from her quarantined sister at Ellis Island and forced into a life of prostitution by her manipulative employer, Bruno (Joaquin Phoenix). Why she’s underrated: It’s been exceedingly sad to see James Gray’s magnificent period piece get ignored this year. It was unceremoniously dumped into a belated limited release, but has seen a little bit of life this awards season after winning Best Actress and Best Cinematography from the New York Film Critics Association. However, more of the awards season heat for Ms. Cotillard this year has been for her riveting turn in the Dardenne Brothers’ “Two Days, One Night.” The actress’s heartrending portrayal of an abused woman fighting for her freedom in an alien society should not get lost in the shuffle. There are times her work in “The Immigrant” is evocative of the iconic silent movie sirens; her eyes are so expressive that they would render title cards unnecessary. 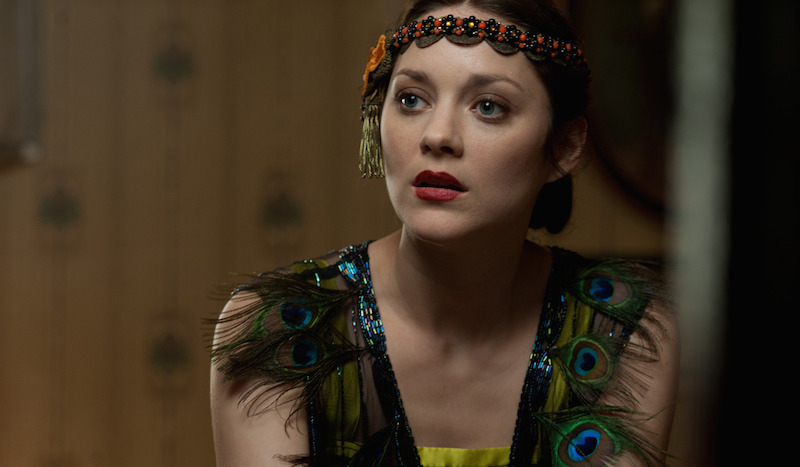 When paired with Phoenix, still perched at the peak of his powers, Cotillard matches his intensity in every frame. Like Ewa, she clearly refuses to remain submissive. Her role: Amelia, a widow tormented by the nightmarish visions of her son (Noah Wiseman), who is convinced that the ghastly monster described in an ominous children’s book has burrowed itself in their house. Why she’s underrated: With so much derivative horror schlock clogging up mainstream multiplexes, it’s flat-out maddening to see Jennifer Kent’s masterful thriller confined to a limited arthouse release. 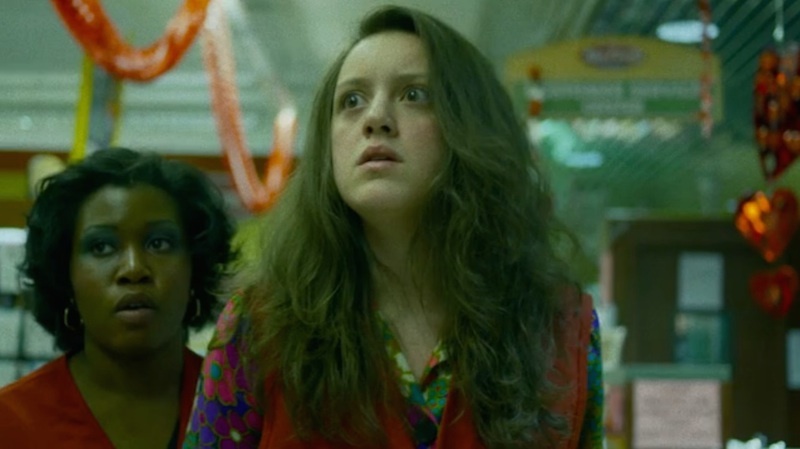 If Davis was a recognizable name in Hollywood, she would unquestionably be a serious Oscar contender for her staggering portrayal of a distraught woman questioning her own frayed sanity as the line irrevocably blurs between fantasy and reality, and a malicious presence appears to gradually consume every aspect of her life. Equally credible as a victim of severe depression and multiple psychological disorders—or, perhaps, the elusive Mr. Babadook—Davis is ultimately a force of nature as she clings fiercely to her maternal instinct, her sole weapon against the forces of evil. Her role: Cornelia, a wealthy Romanian woman and calculating mother whose twisted devotion to her adult son fuels her desire to keep him out of prison after he hits and kills a 14-year-old boy with his car. Why she’s underrated: The final act of Calin Peter Netzer’s profoundly tense drama is as shattering as it is cathartic, and much of its impact should be credited to Gheorghiu, who neither sentimentalizes nor demonizes her richly textured character. A shame that the film was Romania’s official submission for last year’s Academy Awards, despite the fact that it hadn’t had a theatrical run in the U.S. until this past February. I discovered the film on DVD and was stunned by the scene where Cornelia confronts the parents of the dead boy and pleads forgiveness. Suddenly, all the scheming and corruption evaporates from memory as we observe the tragic sight of a woman fighting for the life of her guilty child. Her role: Ashley, the long-suffering girlfriend of a grotesquely misanthropic novelist, Philip (Jason Schwartzman), who cruelly pushes away everyone who cares about him. Why she’s underrated: Though she may still be best known for her role on “Mad Men,” Moss has been garnering an increasing number of opportunities to display her range in everything from Jane Campion’s “Top of the Lake” to Charlie McDowell’s “The One I Love.” Yet it is director Alex Ross Perry who has arguably elicited her most affecting film work to date in his brilliantly written portrait of miserable people. 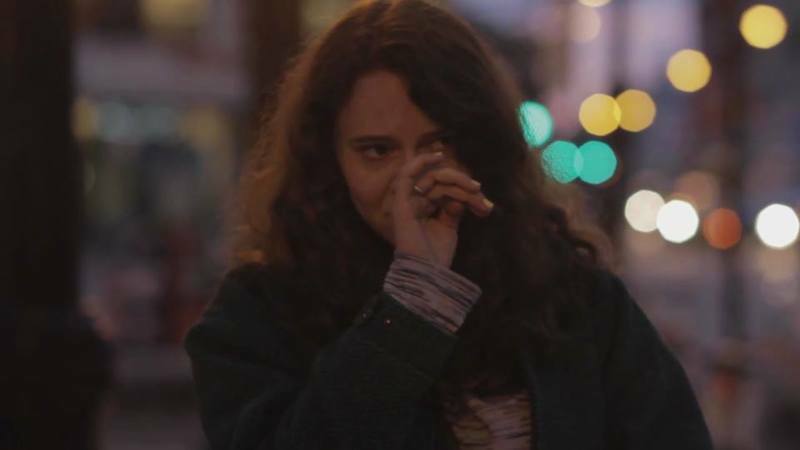 In her wounded affection and mounting frustration, Ashley emerges as the heart of the film. When she finally breaks up with Philip and he storms out of her apartment, Perry holds the camera on Moss as a multitude of conflicting feelings—relief, sorrow, satisfaction, remorse—ripple across her face. It’s one of the most breathtaking pieces of acting I’ve seen all year. Her role: Mona, a pregnant, poverty-stricken cashier on the verge of a nervous breakdown, who desperately seeks help from her alcoholic mother and estranged sister before her water breaks. Why she’s underrated: I can’t thank actor/filmmaker Kentucker Audley enough for his championing of “true indies” at NoBudge.com, a site devoted to screening many of the latest must-see titles of modern underground cinema. Drew Tobia’s fiercely funny, viscerally combustible portrait of a desperate family on the fringes of society left me absolutely galvanized when I streamed it on Audley’s site. The volcanic rage that erupts from Pienta as she finally fights back against the injustice of her bullying co-workers, indifferent boss and smug customers at her miserable grocery store job will hit close to home for every financially strapped member of my twentysomething generation. This woman is as fearless as Gena Rowlands. Why she’s underrated: Talk about a scene-stealer. 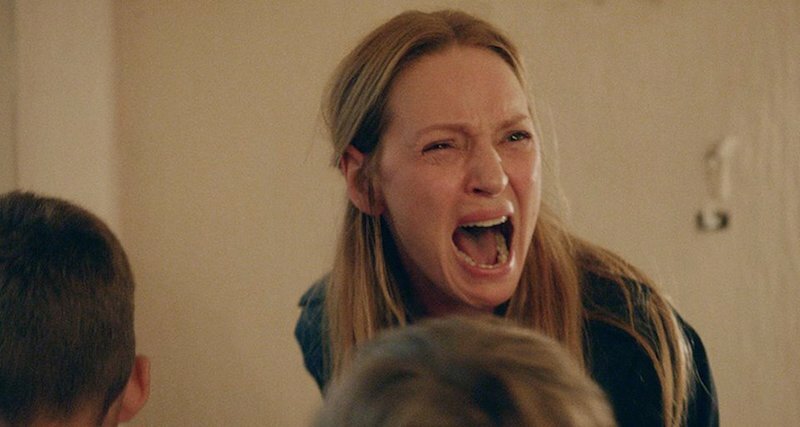 Thurman only makes a single appearance in Lars von Trier’s six-hour epic, released in two heavily cut volumes in the U.S., and it just might be the best scene of her entire career. Lacerating in both her vicious sarcasm and naked anguish, Thurman stops the show, exuding the outrage of a woman whose entire life has been heartlessly upheaved. Rather than sulk into oblivion, she bulldozes her way into the hornet’s nest, albeit with astonishing irrationality, moving her children around like performance art props in order to smother her ex in shame laced with arsenic. Equal parts uproarious and agonizing, this scene left my jaw on the floor. Consider Bill sufficiently killed. Her role: Ellie, an insecure woman haunted by the overbearing presence of a seemingly infatuated stranger, Ned (Stephen Cone), who insists on being a part of her life even after she shuts him out. Why she’s underrated: Film critic Ignatiy Vishnevetsky’s 40-minute directorial debut is obviously the most under-seen title on this list, but it has more memorable lines and intriguing depth than countless pictures three times its length. Torem is one of the most gifted actresses of her generation, and her work here sharply contrasts with her acclaimed portrayal of a devout Christian in Cone’s 2011 film, “The Wise Kids.” Ellie utilizes her flinty, detached persona as a shield to mask her own vulnerability, but Ned’s unrelenting harassment—not to mention his very real embodiment of everything her façade aspires to be—forces her to engage with the world. Rarely has the everyday act of role-playing been deconstructed with as much chilling resonance. Like all great performers, Torem approaches acting as a process of empathy. She meets her characters on their own terms, and we feel for them all the more as a result. Her role: Anna, a Polish orphan brought up in a convent, whose innocent, tranquil existence is obliterated when she discovers the tragic fate of her Jewish parents, thus causing her to have an identity crisis. Why she’s underrated: One of the biggest missteps of the Academy is its tendency to award acting that screams “look at me!” in preferably un-photogenic extreme close-up. Hardly ever are the performers awarded who make acting look as natural as breathing. 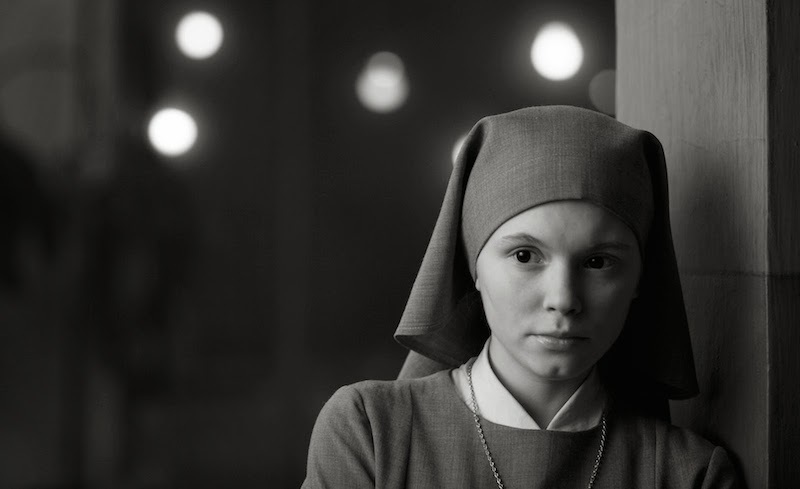 Consider Trzebuchowska, a young woman who has never been in a film prior to Pawel Pawlikowski’s glorious masterpiece. Her character is a meek introvert and is not one of grand gestures. Anna’s evolution is gradual and largely internal, and Trzebuchowska portrays each stage of it with such unmannered grace and vivid insight that it never hits a single false note. When a ritual that she has long participated in suddenly strikes her as amusing, the soft chuckle Trzebuchowska elicits is tantamount to an earthquake. Now that is movie magic. Her role: Robyn, a 26-year-old adventurer who walked 1,700 miles through the scorching desert landscape of West Australia, and later wrote a memoir about her experiences. Why she’s underrated: On its surface, the film’s fact-based tale is nearly identical to the one in “Wild,” from the solo odyssey of its heroine to the empowering implications of her achievement. Yet whereas Jean-Marc Vallée’s Witherspoon vehicle is bogged down in expository flashbacks providing too tidy a road map of emotional beats, John Curran’s “Tracks” is much more intricately nuanced, relying primarily on Wasikowska’s mesmerizing face and body language to convey her inner thoughts every step of the way. Tender shades of melancholy reverberate beneath her every scene, as her discomfort around others leads her to escape the structures of civilization and the expectations that come with it. Perhaps the most meaningful human bond she forges on her death-defying walk is with a local guide who teaches her essential principles of survival despite not knowing a single word of English. After all, as one character reflects, “Words are overrated.” They are indeed, especially in cinema.